This is fabulous! 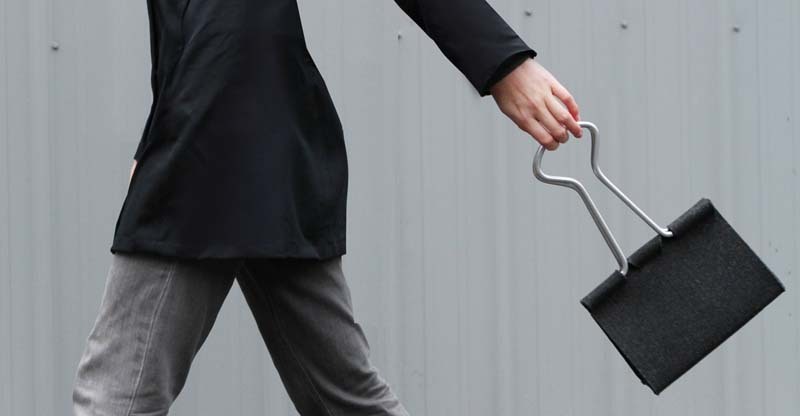 Em sent me the link to this incredibly clever and fun Clip Bag designed by Peter Bristol in Seattle who, it appears from his site, designed the also fun Training Dresser that made the rounds a couple of years ago. Made with wool felt and aluminum tubing, this gigantic binder clip is both fun (did I say ‘fun’ enough?) and at the same time rather elegant. A surprising, but delightful, combination. Bristol is looking for potential manufacturing/distribution partners so I imagine this will be a reality soon enough.